An effortless everyday layer, this lightweight cardigan is cut from an exceptionally soft pima-cotton blend and left open for a relaxed vibe. 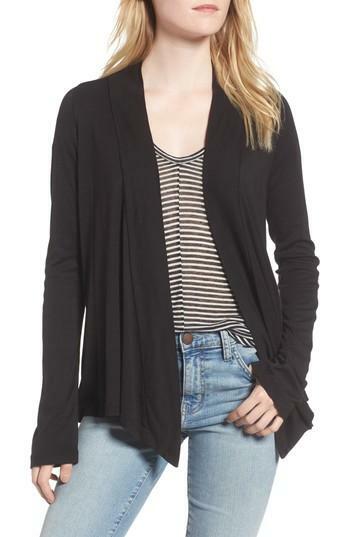 Style Name: Splendid Classic Flare Cardigan. Style Number: 5466741 1. Available in stores.